Melbourne: Rafael Nadal is out of the Australian Open, beaten 6-2, 6-0, 7-6 (5) in the quarterfinals by seventh-seeded Tomas Berdych on Tuesday. The third-seeded Nadal , a 14-time Grand Slam singles champion, said before the tournament began that his lack of match fitness due to injuries and illness in the last half of 2014 made him unlikely to win more than a few rounds at Melbourne Park. Nadal saved two match points in the 12th game of the final set, sending it to a tiebreaker. 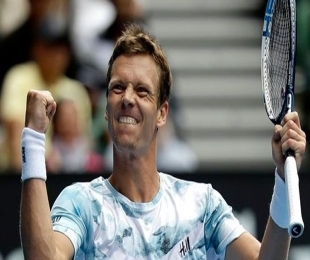 Berdych led 5-2 and finally ended the match on his fourth match point when Nadal netted a return of serve. Coming into the Australian Open, Nadal had played only eight matches since last June because of a right wrist injury and appendix surgery in November.